Figure8-1: 1. 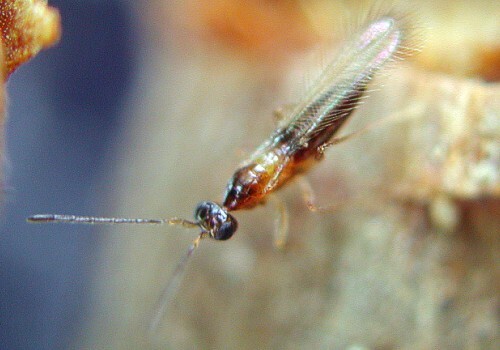 Oviposition of Lestes temporalis. 2. The inhabiting environment of Lestes temporalis. Lestes temporalis inhabits the pond surrounded by a wood. Then, it lays eggs in the trees. 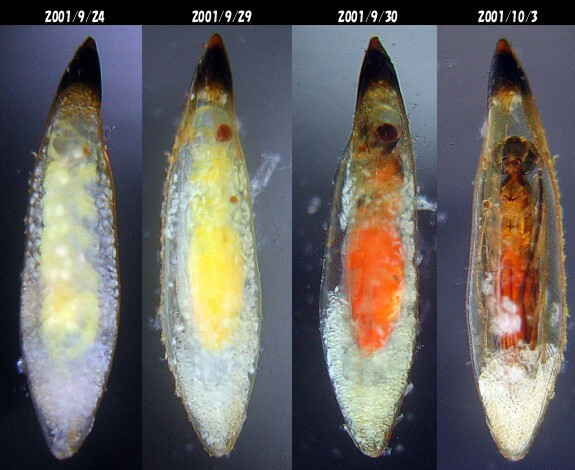 Figure8-2 : The eggs of Lestes temporalis that eggs were laid by trees. Bark is peeled off. 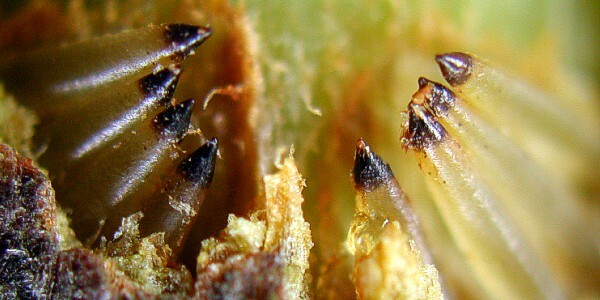 Some larvae of egg-parasitoids wasps are often in the egg of one Lestes temporalis. The embryo of the dragonfly can't grow because the larva of egg-parasitoids wasp always moves around in the egg of the dragonfly. When the larva of the egg-parasitoids wasp is growing up, they damage each other, and it becomes one at the end. Figure8-4 : The larva of an egg-parasitoids wasp to grow in the egg of Lestes temporalis. This egg-parasitoids wasp becomes a pupa in the egg of the dragonfly. Then, an adult breaks an egg, and comes out. The size of this egg-parasitoids wasp ♀: body length 1.10mm; antenna length 0.80mm.